Imagine dining with exquisite food while enjoying a panoramic view of Singapore’s stunning skyline. To make the moment even better, amazing fireworks greet you and they look beautiful against the cityscape. The day is approaching and we suggest you make your reservations soon if you want to catch the fireworks. What is so special about this year? Singapore celebrates the 50th year of independence with the ‘SG50′ slogan. This year’s fireworks are the biggest and will be the most stunning ones to date! Racking your brains on which restaurant to make your reservations at for this special day? Fret not, we have a list to share. 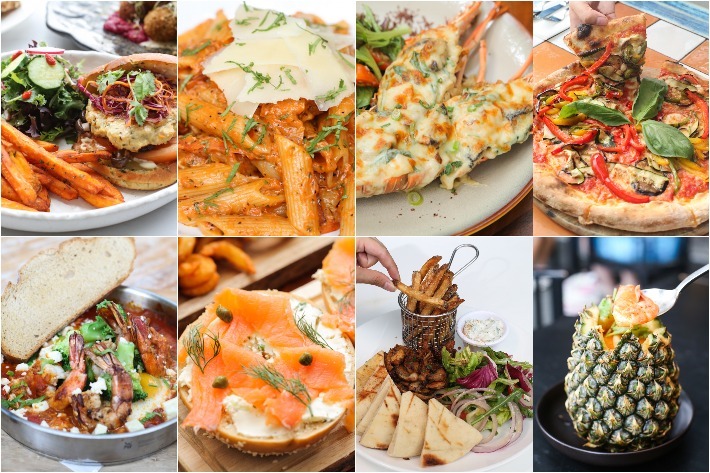 Here are 15 Restaurants To Catch The Beautiful National Day Fireworks 2015! After a long day of work, everyone should get a drink to reward themselves. What better place to relax – with a drink and some nibbles – than a nice rooftop bar? From the World’s tallest alfresco bar, to the most popular bars with awesome cocktails, we’ve rounded up a list of the best rooftop bars in Singapore. There are some restaurants that one goes regularly, places that serve decent food at affordable prices. Then there are other places you go for special occasions – like a hot date, birthday celebration, or wedding anniversary. When you are looking for somewhere to have a romantic dinner, Equinox Restaurant at Swissôtel The Stamford is one of those places that always come to mind. 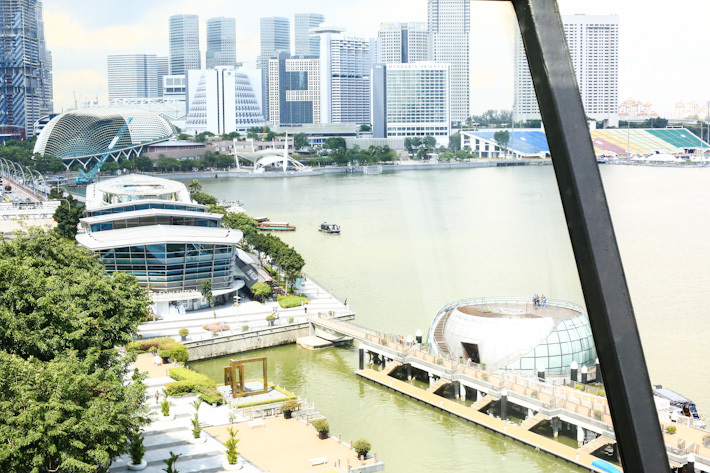 It has one of the best locations in Singapore, overlooking the beautiful city. But that aside, I also love that it is very versatile. You can bring your clients there for a business luncheon; hang out with your girlfriends over a leisure afternoon tea; or have a romantic date – it is a restaurant that is suitable for all occasions. I recently sampled the new menu by Chef de Cuisine Lee Bennett, and it was a good meal. If you haven’t yet had the chance to try Equinox, give it a shot. If you have and it has been some time, it’s time to go back again. 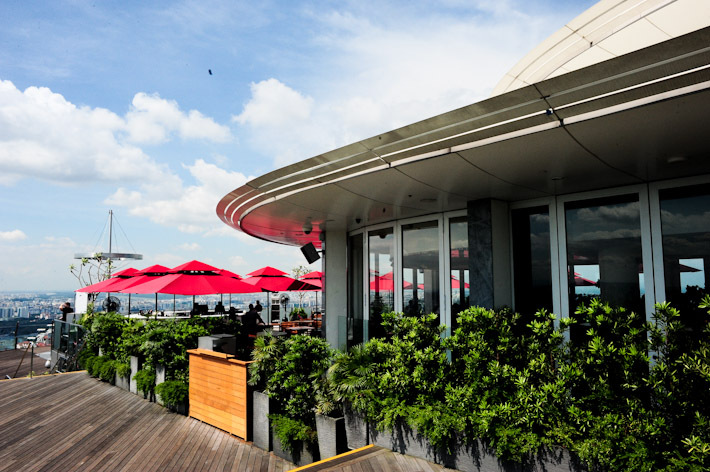 Perched at the top of Marina Bay Sands, KU DÉ TA has one of the best dining spots in Singapore. Contrary to popular belief, Ku De Ta is not a fine dining restaurant; it is positioned as a casual dining place where you can get a nice cocktail and order a few dishes to share with friends. That said, a meal at Ku De Ta is not what you would consider to be ‘cheap’. One is expected to spend at least $70/pax (without drinks). The price, of course, might put off many people. But when you get to enjoy the panoramic view of Singapore’s skyline for the whole night, this is certainly a place that is worth splurging on. Most people have the impression that I always eat at fine dining restaurants, but my friends would know that I usually prefer going to casual places that are cosy and provide good food at reasonable prices. But sometimes if you want a very good meal, you really have to fork out top money for it. JAAN Restaurant at Swissotel is the prime example. I had one of my best meals of 2011 at JAAN. I’m going out on a limb and say that they are among the top restaurants in Singapore. Customs House along the Marina Bay waterfront is one of the popular dining destinations in Singapore. Five restaurants are housed in the converted heritage building beside The Fullerton Bay Hotel – Kinki, a funky Japanese restaurant; Sabai Fine Thai on the bay, a fine dining Thai restaurant; Nueva Cuba, a Cuban-themed restaurant and bar; Oyster Bar, a seafood bar serving oysters and champagne; and Procacci, a full-fledged Italian restaurant modelled after the style and taste of Florence. The food at Procacci Italian restaurant is generally good, and while prices are fairly high, it is a lovely place for a romantic date.